School promotes the wearing of school uniform at all times. It gives the children a sense of belonging and creates a sense of identity. 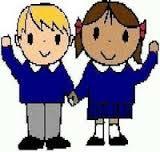 We expect all children to wear the school uniform. However, you do not have to buy uniform with the school logo on it, but we do request that you keep to the school’s colours. Checked or striped blue, white dresses and black, grey shorts are suitable for the summer. Black flat school shoes or plain black trainers – no logos, Uggs, open toe sandals or flip flops. School shoes should be appropriate for use in school, be practical and safe, waterproof and suitable for working and playing in. Shoes with high heels, ugg type boots, crocs and shoes which do not support a child’s feet are not acceptable for school as they may cause injury to the children whilst they are playing. School shoes should be plain black. No logos, extra colours etc. Please also do not send your child in lace up shoes unless they can tie them themselves. Jewellery, apart from a watch and/or one pair of small stud earrings, is not to be worn. Wellies should be sent in in a carrier bag for outdoor learning. We go out whatever the weather so ensure your child is prepared! All items of clothing should be carefully labelled with the child’s name. If your child is not wearing appropriate uniform you will be sent a reminder letter regarding this. In sending your child to our school, you are agreeing to the uniform code we have in place. 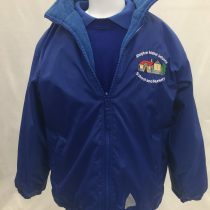 The Parent Friends Association (PFA) have a preloved uniform stall throughout the year, please ask at the school office when the next one will take place. We have arranged with Identity Kits (School uniform shop) in Wells to stock their shop with our school uniform. However you will still be able to come to the school office to order the school uniform. Come to the school office along with full payment. Cash only. Visit the Shop in Wells (23 Broad Street, WELLS BA5 2DJ). Payment Debit Card or Cash. 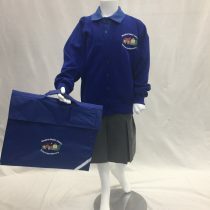 Order Online http://www.identitykits.co.uk/ - select your items and select “Collect from shop” these will be delivered to the School at no extra cost. Payment by Debit Card or Paypal. Ring the shop: 01749 670000 with your order and it will be delivered to the school at no extra cost. Payment by Debit Card. Orders will be delivered on a Friday to the school. Trial sizes are available in the school office. 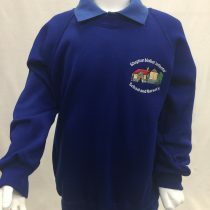 You can also purchase all other school uniform from the shop or online, legionnaires hats, trousers, skirts, shorts, shoes, daps, plimsoles etc.